The Tuckett Family: 5 months! Ava is 5 months old! ~Trying to sit up, can stay sitting up for about 10 seconds before she falls over. ~Loves to roll over. As soon as we put her down, she is already rolling all over the place! This picture looks exactly like Blake did when he was a baby. Unfortunately we don't have a picture to show and compare but as soon as I saw this pic I thought of him! This is her in her walker. She loves to play! Such a big mouth grin! 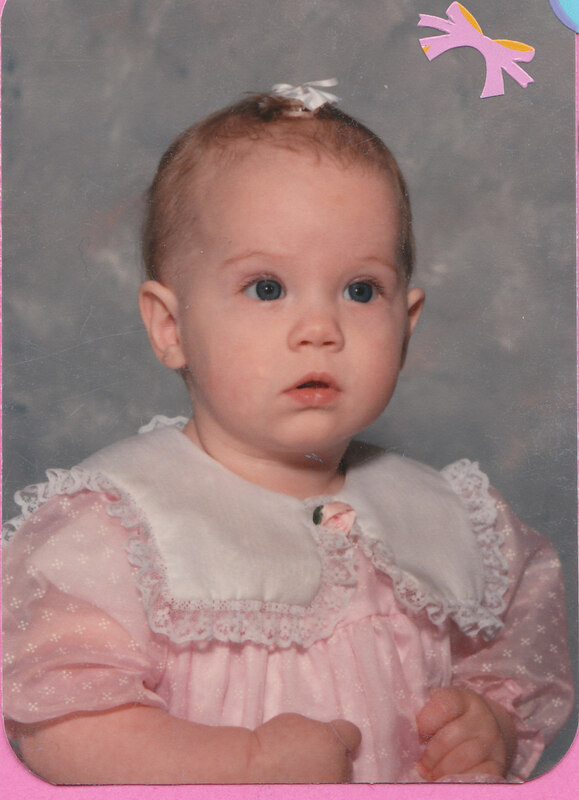 And this pic looks exactly like I did at 6 months old! She is a complete mixture of Blake and I.
Ava is such a fun baby to be around. We love her to pieces and could not imagine our life without her.